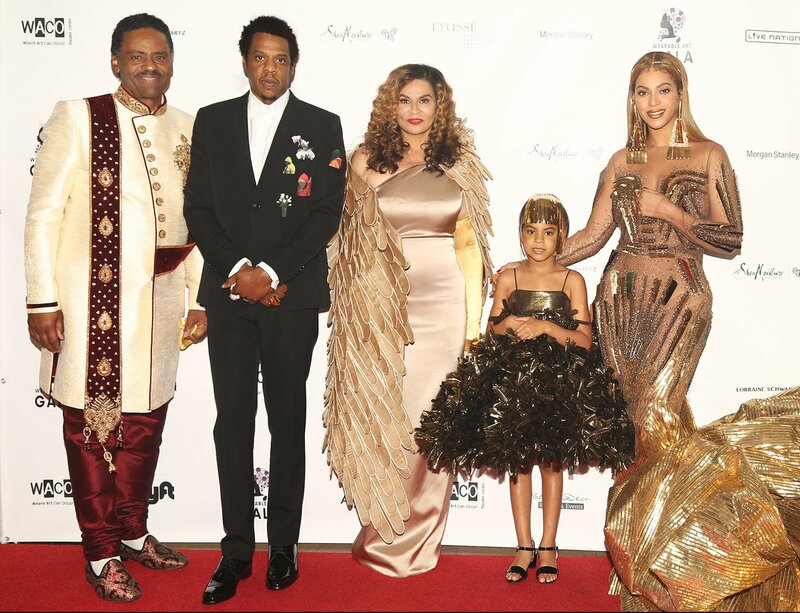 The Wearable Art Gala presented by The WACO Theater with the gracious hosts of Actor Richard Lawson and Tina Knowles was held at the Alexandria Hotel in Los Angeles, California. The theme was from Waco To Wakanda and I couldn't be more honored to be there. I was brought on to be the cameraman for Miss Conversation Piece Veronica Brown - a multi-talented Entertainment Host that has made some serious inrouds into the industry. I was mesmerized by the mere fact I would be covering such an event headlined by Beyonce and Jay Z. And it was even sweeter that Tina Lawson, Beyonce's Mom, would honor her with the Humanitarian Award and Jay Z would be honoring his mother Gloria Carter with the Everyday People Award. The The WACO Theater, an acronym for 'Where Art Can Occur', holds the Wearable Art Gala the same week as LA Fashion Week to raise awareness about the importace of the arts and to raise funds for those programs at their theater. Actor Richard Lawson and Tina Lawson are strong supporters and served as the hosts. When I was there at the event, timely enough, I thought of Jay Z's song "Legacy" the idea of Black Generational Wealth. Wealth not of only monetary gain but wealth of culture, wealth of compassion, and wealth of love. That is all possible with connecting with other Black ventures, businesses, and entrepreneurs to build an interconnecting world for all of us to win. Weather it's an example of the the Entertainment Host Veronica giving me a shot at being the cameraman for this incredible event, Blavity creating AfroTech- a hub for Black technolgy minds to come together, properly investing your money and seeing it grow, or simply putting your time back into the community. Legacy, Legacy, Legacy. What will they say about you once it's all said done? Go out there in the world and let them see. The manager at these venues in NYC suggested we make custom choices and make the menu a little more personalized. The next time you need to hold a conference, have a wedding, or set up a whiskey tasting, think about doing it at this venue.